Indigenous MPs and senators played a central role in securing passage of the new law. OTTAWA — Despite the clamour from doctors, lawyers, religious groups and advocates for the disabled, the softer voices of indigenous parliamentarians were instrumental in shaping the Trudeau government's cautious approach to medical assistance in dying. Indigenous MPs and senators played a central role in securing passage of the new assisted dying law, bringing to the debate what they describe as a unique perspective on the sanctity of life. Their prominent role started at the top, with Justice Minister Jody Wilson-Raybould, a former regional chief of the Assembly of First Nations and lead minister on the assisted death file. She was back-stopped in the Senate by former judge Murray Sinclair, who headed the Truth and Reconciliation Commission inquiry into residential schools and was instrumental in persuading skeptical senators that the controversial new law was constitutional. 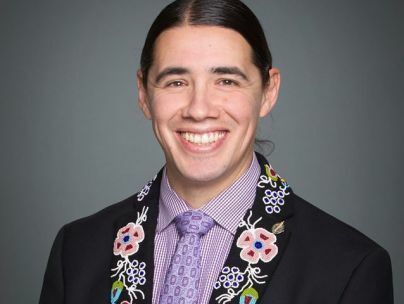 The first government backbencher to intervene on the issue in the ruling party's caucus was Robert-Falcon Ouellette, one of nine indigenous Liberal MPs and, in the end, one of just a handful of Liberals to vote against the new law. But their message was amplified by the fact that the assisted dying debate played out against the backdrop of a youth suicide crisis in Attiwapiskat and other First Nations communities. The law grants only those who are near death the right to medical assistance to end their lives. Sinclair has no doubt that the aboriginal youth suicide crisis was in Wilson-Raybould's mind. "The important thing is that there's no doubt that she has been influenced by her own teachings and her own cultural experiences in terms of how she approached it, as was I,'' Sinclair said in an interview. Ouellette said he believes "indigenous people did have major influence'' on the government's approach to the issue. Although he voted against the law, he's gratified that his views were reflected in the cautious approach taken by the government. "Traditionally, in indigenous cultures, suicide never existed,'' he said in an interview. In the midst of debate in the Senate, some indigenous parliamentarians met with young people from Attiwapiskat. That prompted a number of senators — indigenous and non-indigenous alike — to question what message legalization of assisted dying was sending to those youths. "It will not take much for a young, vulnerable person to believe that their situation is intolerable to them and, therefore, we need to ensure the message we send to the Canadian public with this legislation is that this is not a right that should be easily exercised or that we are embracing,'' Sinclair told the Senate. Not all indigenous parliamentarians shared that view, however. Sen. Lillian Dyck argued that the aboriginal youth suicide epidemic is the result of dysfunctional communities still grappling with the after-effects of the residential school era, totally separate from the issue of allowing grievously ill people to end their lives with a doctor's help. "It is a mistake because you are telling them, 'You're vulnerable, you're weak, we're afraid for you.' I think that's an awful message to give to youth,'' Dyck, who voted for more expansive eligibility to assisted dying, told the Senate. Thunder Bay MP Don Rusnak, chair of the Liberals' newly formed indigenous caucus, said aboriginal communities in his riding also bristled when links were drawn between assisted dying and the youth suicide crisis. Indeed, he says for the most part his constituents objected that the law didn't go far enough. Indeed, Rusnak said the reason for creating the indigenous caucus is to share those different perspectives and ensure that ministers take them into account when crafting public policy. "We need to listen to the voices that for far too long in this country haven't been heard,'' he said. On assisted dying at least, Sinclair believes that's already happened.